J.C. Penney appointed Bill Wafford as CFO, effective April 8. Mr. Wafford will resign as CFO of Vitamin Shoppe on April 5 in order to take the position. Michael Fund will step down as J.C. Penney’s interim CFO on April 8 but will continue to serve as interim controller. Meanwhile, Vitamin Shoppe named Charles Knight as interim CFO. Mr. Knight has served as chief accounting officer since July 2018. Prior to joining Vitamin Shoppe, Mr. Knight had a 28-year career with Toys “R” Us, where he most recently served as corporate controller. The hiring of Mr. Wafford appears to dovetail with other elements of J.C. Penney’s ongoing turnaround strategy, closely following the recent hiring of Michelle Wlazlo from Target as chief merchandising officer. The Company reported a 6% decrease in fourth quarter comps amid ongoing margin erosion. It also announced the closing of 18 full-line stores and nine home and furniture stores in 2019. It would not be surprising if more closings are required to effectuate a sustainable turnaround. 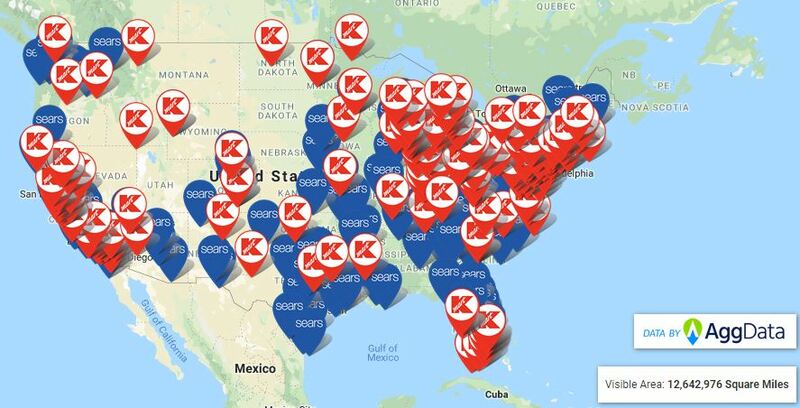 See below for Future Store Closings Map - click here to request a list of closing locations. Amazon is cutting prices on about 500 items at Whole Foods stores this week, offering special discounts to Prime members. The cuts are some of the widest since Amazon bought Whole Foods in 2017, spanning many product categories. The Company is trying to reverse its high-priced, upscale image and keep up with pricing of competitors. In other news, Whole Foods has opened a new, urban format in New York City. Labeled “Whole Foods Market Daily,” the convenience store-sized market focuses on grab-and-go snacks with self-checkout lanes. 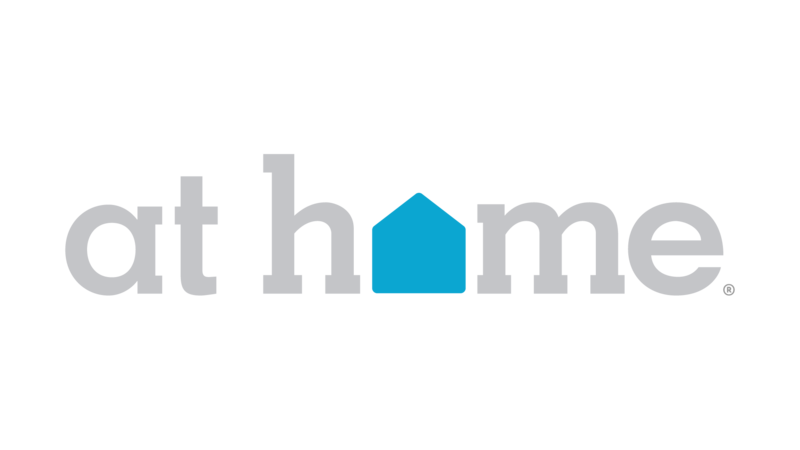 The format offers customers a way to quickly pick up convenience items and prepared foods without having to navigate the traditional 40,000 square-foot supermarket. In other news, Amazon will add about 800 tech-focused jobs to the already 6,600 workers it has in Austin, TX. They will be employed in a 145,000 square-foot space leased on four floors that will open next year. Amazon said the new positions will be focused in software and hardware engineering, research science, and cloud computing divisions. 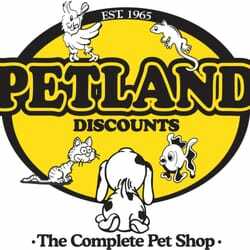 Petland Discounts, Inc. filed a voluntary Chapter 7 petition in the U.S. Bankruptcy Court in the Eastern District of New York. The Company will close all 68 stores - Click here to request a list of the closings.The Honorable Robert E. Grossman has been assigned to the proceedings, which were designated as case number 19-72292. 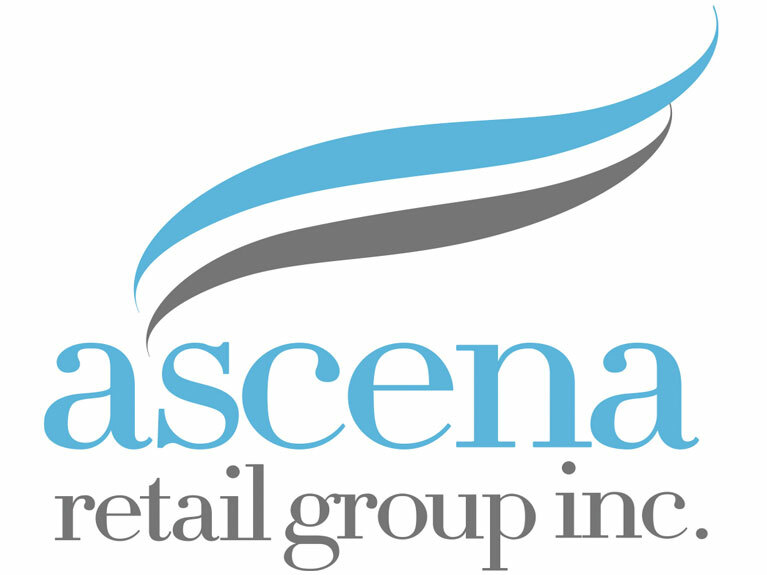 Ascena Retail Group is reportedly exploring options for Dressbarn, its low-priced women’s clothing unit. The process is said to be unfolding, and no decisions have been made; however, management stated, “if a sale transaction is not completed, the unit may have to be closed.” In the Company’s recent conference call, CEO David Jaffee said the Dressbarn unit was operating at “an unacceptable level of profitability.” The Company operated 674 Dressbarn stores as of February 2. This announcement came just days after the Company inked a deal to sell a majority interest in its subsidiary, Maurices Incorporated, to an affiliate of private equity firm OpCapita LLP. On March 27, Grocery Outlet Holding Corp., owned by affiliates of Hellman & Friedman LLC, announced that it has confidentially submitted initial paperwork with the SEC relating to a proposed initial public offering of its common stock. Grocery Outlet operates approximately 325 stores, predominantly on the West Coast, with sales of about $2.20 billion. The timing, number of shares and price range for the proposed offering have not yet been determined. On March 28, a new Grocery Outlet opened in East Tacoma, WA, located in a shopping center previously home to Kmart that was replaced by a Big Lots in October. The 21,000 square-foot store is independently owned and operated. Click here to request Grocery Outlet's future openings and closings. 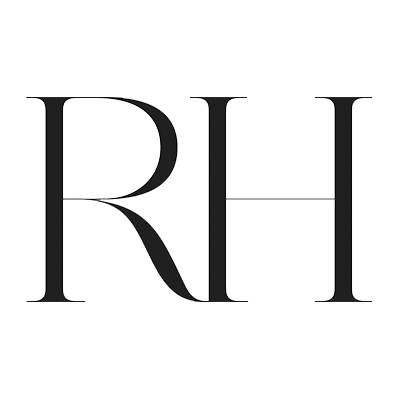 On March 29, Charlotte Russe, DIP announced it sold its Charlotte Russe brand and related intellectual property to YM Inc., which owns a portfolio of fashion apparel brands. 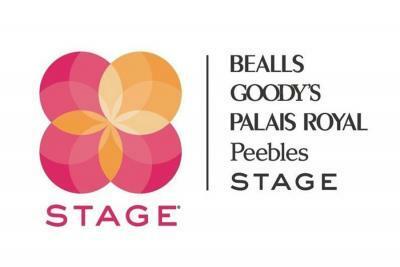 In addition, the Company sold its Peek Kids brand and related intellectual property to Mamiye Brothers, a designer, manufacturer, and marketer of apparel for women and children. Mamiye plans to continue to grow the Peek brand, with e-commerce and wholesale offerings to begin again in July; all nine stores will be closed in the coming weeks. In early March, Charlotte Russe began winding down its operations after failing to complete a going concern transaction. Store closing sales at 416 locations began March 7 and will continue through April 30, while going-out-of-business sales at the other 94 stores were completed as of March 31. Nearly five-year-old mattress retailer Casper received an additional $100.0 million in funding from returning investors NEA, IVP, Norwest and Target, as well as new investors Dani Reiss (chairman and CEO of Canada Goose) and Gordon Segal (founder and former chairman of Crate & Barrel). The latest round of funding brings the Company’s valuation to $1.10 billion. 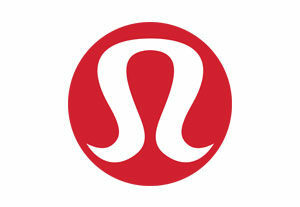 The Company also added Karen Katz, former CEO of Neiman Marcus, and Mr. Reiss to its board. There is speculation that the Company is gearing up for an IPO, with reports stating that the Company is looking to hire underwriters, but management has not commented on those rumors. Casper intends to use the funding to “fuel Casper’s category leadership and omnichannel growth,” including wholesale and e-commerce channels, as well as its fleet of brick and mortar stores, which is projected to reach 200 by 2021. Since opening its first permanent physical store last year in New York City, Casper has expanded to 20 locations nationwide. Casper generated $400.0 million in sales during 2018. Fellow online mattress retailers include Purple, Nectar Sleep, and Tuft & Needle. Meanwhile, Mattress Firm emerged from bankruptcy last year with 2,600 stores after shuttering 587 underperforming stores. Last week, Lidl opened a small-format grocery store, dubbed Lidl Express, on the ground floor of its U.S. headquarters, in Arlington, VA. The 1,000 square-foot store (compared to its traditional 20,000 square-foot store) sells many convenience-type items as well as fresh food. 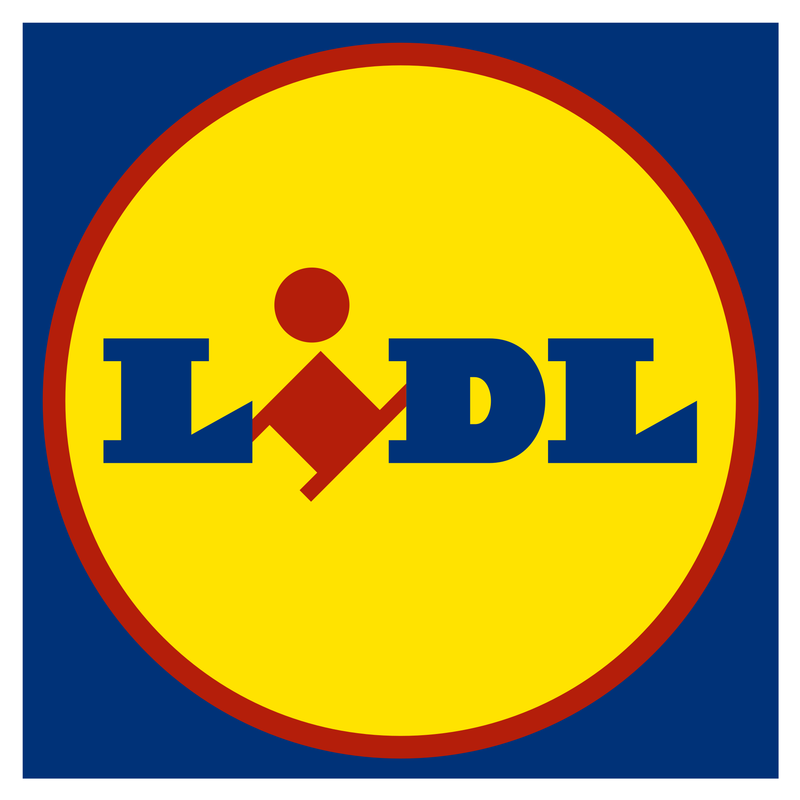 The store serves Lidl’s corporate employees and is also open to members of the community. These smaller-store footprints align more closely with Lidl’s approach in Europe, where the Company is used to fitting into existing spaces and operating in urban markets. Hy-Vee plans to build a new 19,650 square-foot HealthMarket store in Sun Prairie, WI. Plans were recently approved for a supermarket that will include a health clinic, pharmacy and fitness studio. The property will also have a separate 6,500 square-foot Hy-Vee Fast & Fresh convenience store with fuel pumps. Hy-Vee debuted its first standalone HealthMarket concept last summer in West Des Moines, IA. At 15,700 square feet, the store is almost three times larger than the HealthMarkets found inside Hy-Vee grocery stores. Hy-Vee expects to open one additional HealthMarket in 2019, in the Kansas City area. 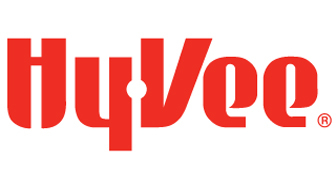 Click here to request a list of future Hy-Vee locations. 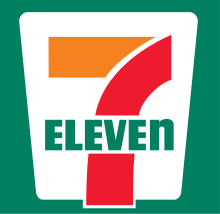 On March 22, 7-Eleven opened its first U.S. “lab” store in its hometown of Dallas, TX. The Company describes it as a place where customers can “try and buy the retailer’s latest innovations in a revolutionary new store format.” It includes made-to-order smoothies and coffee drinks, as well as an alcove with expanded selections of wines and beers called “The Cellar.” Scan & Pay technology allows customers to skip the checkout line. The lab store is also the first 7-Eleven location to incorporate the Laredo Taco Company taqueria and is the first Laredo Taco location in Dallas. 7-Eleven acquired the taqueria along with Stripes convenience stores in South Texas as part of the 1,000-store acquisition from Sunoco in 2018. 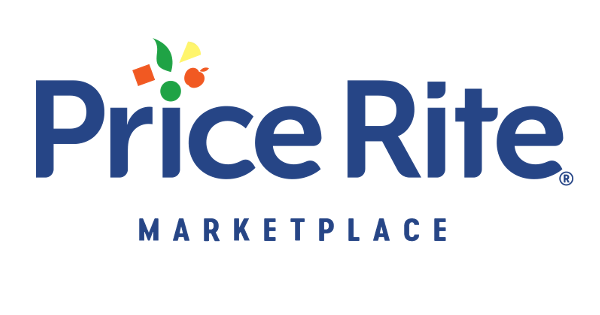 Price Rite Marketplace revealed its fresh new look and improved in-store experience at five of its Connecticut stores, in Cromwell, New Britain, West Hartford, Wethersfield and Windsor, on March 29. As part of the rebranding effort Price Rite lowered prices on hundreds of items across the stores. This follows a successful rebranding effort at three of its Pennsylvania locations. Price Rite is a member of the Wakefern Food cooperative and currently operates 66 stores in Connecticut, Massachusetts, New Hampshire, New Jersey, New York, Pennsylvania, Rhode Island, Maryland and Virginia. As part of Meijer’s expansion plan into northeast Ohio announced in 2017, the Company will open three new supercenters in Avon, Mentor and Stow, on May 14. The 155,000 square-foot supercenters will be open 24 hours. Meijer currently has 39 stores statewide and a total of 240 throughout Michigan, Ohio, Indiana, Illinois, Kentucky and Wisconsin. Schnuck Markets will close two of its St. Louis, MO area stores. The St. Ann store will close on May 5 and the Festus store on June 30. Schnucks acquired both stores when Shop ‘n Save went out of business, and reopened them as Schnucks in October. The Company said it was unable to come to terms on a lease renewal for its Festus store, and the St. Ann store was underperforming. Schnucks owns the St. Ann location and will look to sell or lease the property after the store closes. Loblaw plans to begin construction on a 22,000 square-foot CityMarket store in Edmonton, Canada, slated to open in fall 2020. It is being built on a former Greyhound terminal site. Stew Leonard’s will open its first New Jersey store this fall at the Paramus Mall in an 80,000 square-foot space that was previously a Sears. Construction began last week. 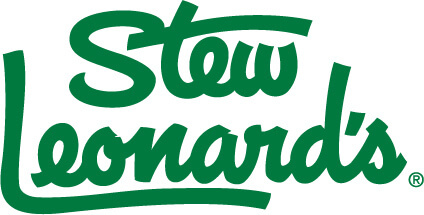 Stew Leonard’s entry into New Jersey is its first expansion beyond Connecticut and New York State in 20 years. It also is the Company’s first store in a mall. 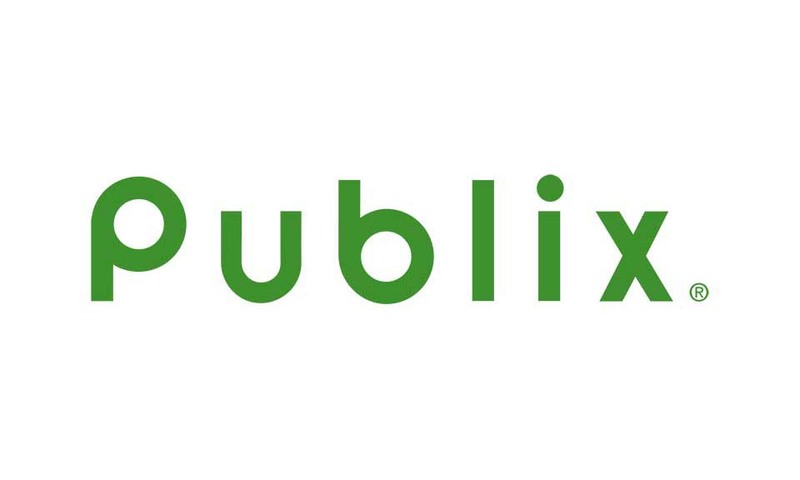 Publix will open a new 45,000 square-foot store in Jacksonville, FL. It will anchor a commercial development at RiverTown. 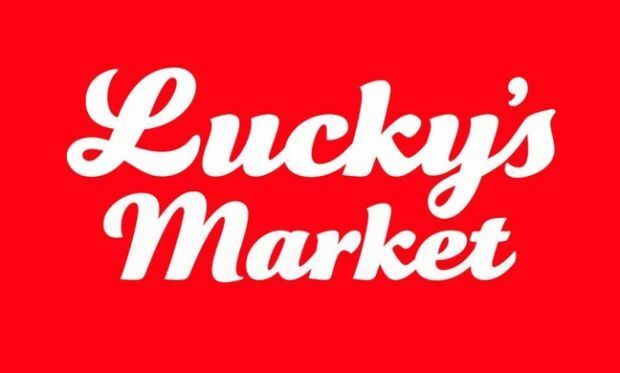 Lucky’s Market is opening its second store in Jacksonville, FL. In addition to traditional offerings, the 30,000 square-foot store will include a café area, and an apothecary department. It is expected to open by June. 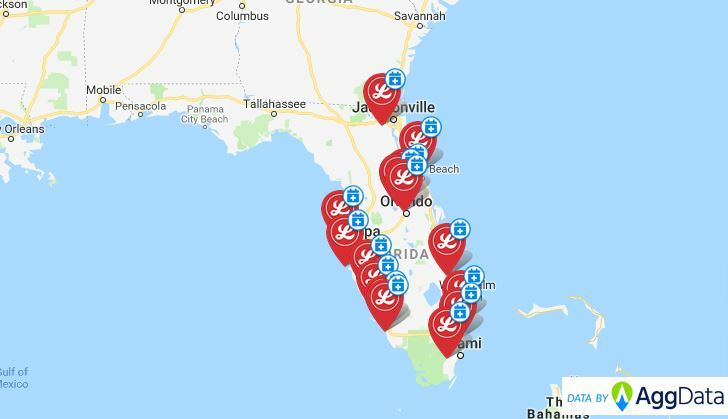 Lucky’s currently has 17 stores in Florida. 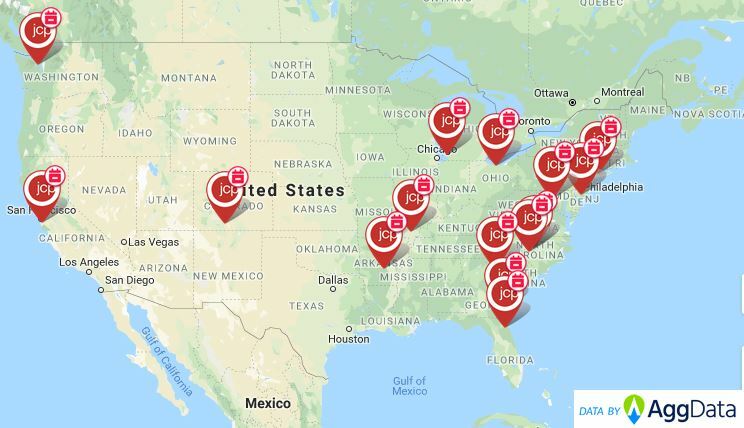 See below for Future Store Openings Map - click here to request a list of future Lucky's Market locations. Rouxster’s Cookhouse has opened restaurants within two of Kroger’s Mariano’s stores located in Bronzeville and Park Ridge in Chicago, IL. Barneys New York plans to shrink its Madison Avenue flagship store in Manhattan as a result of rent increases. Reports indicate that the 230,000 square-foot building’s rent doubled in January 2019 to $30.0 million a year plus taxes and other expenses, compared to $16.0 million last year. While the Company did not give a specific size for the store, it plans to give up possibly more than half the space, or 115,000 square feet. Wayfair announced plans to open its first full-service retail store in Natick, MA this fall. Customers will be able to buy directly in-store or have items shipped to their home. Customer service and home design experts will also be available for complimentary design consultations. Additional details will be released in early fall. The Company will also roll out four pop-up shops later this summer. The locations have not been released yet. This month, Bloomin’ Brands will open the first U.S. unit of Aussie Grill, a fast-casual food-court version of its Outback Steakhouse in Tampa, FL. The 690 square-foot proposed Aussie Grill is in Tampa’s International Plaza’s food court. Domino’s Pizza opened its 10,000th international store. The new store, in Shenzhen, is the Company’s 200th store in mainland China. The Company remains committed to strengthening its presence in international markets and is planning more international openings later this year.